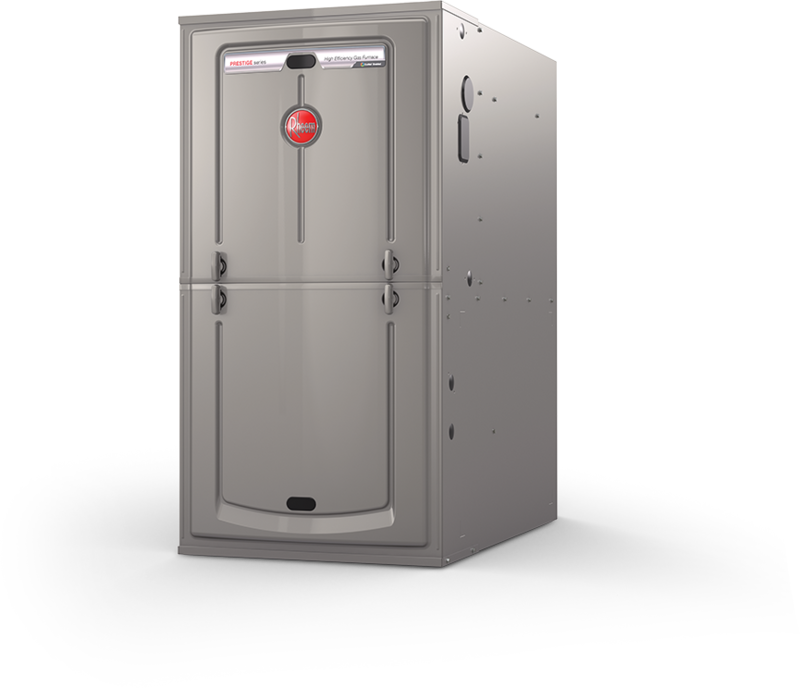 Comfort is what you get with a Rheem Prestige Series Gas Furnace. The new patented heat exchanger design provides improved airflow, which reduces operating sound by 20%**. The variable-speed ECM motor also contributes to a quiet, more efficient operation. It’s engineered to provide better humidity control while using less power. 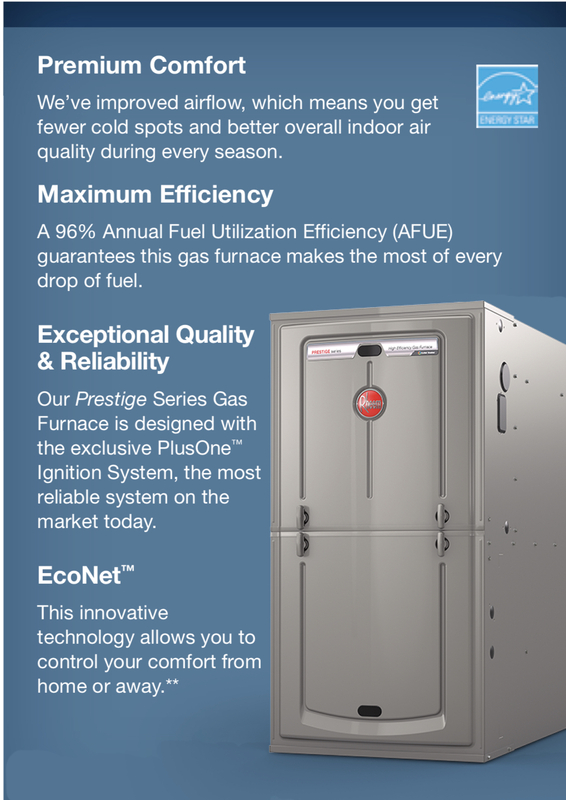 Overall, this is one of the quietest furnaces on the market. And because it’s high-efficiency, your monthly energy bill will benefit, too.